Invite sunlight to pour into your kitchen, sparkling on steel fixtures and appliances and adding warmth to your favourite sunny breakfast nook. 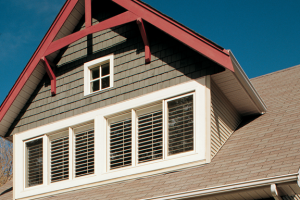 A half-moon of fixed windows adds contemporary style to a row of kitchen casements. Enjoy the beauty of the outdoors from the comfort of your favourite scenic sitting spot. 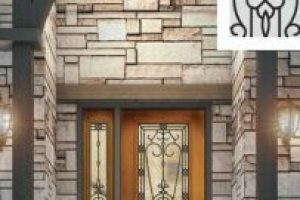 This subtle design feature is sure to round out any room. 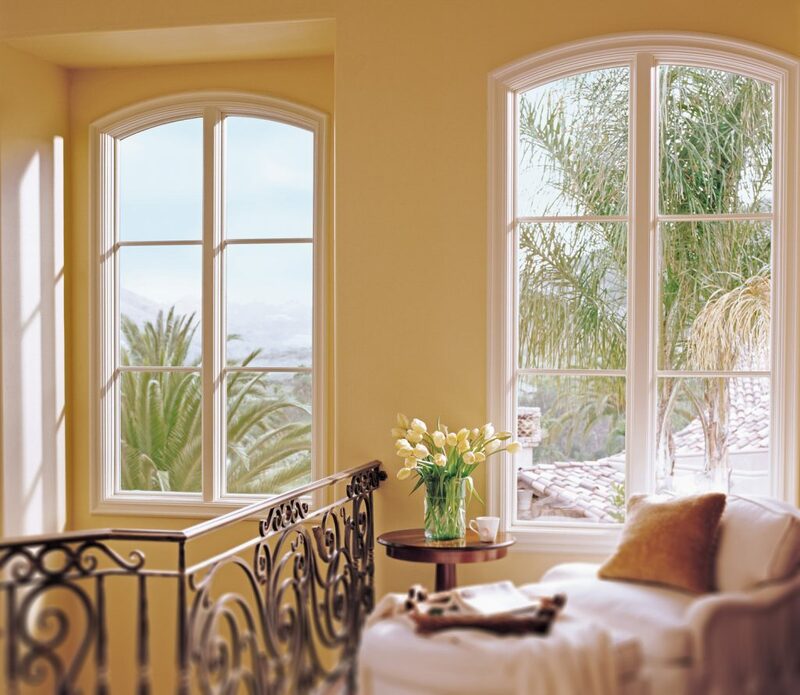 The simple addition of rounded heads adds luxury and sophistication to this pair of picture windows. Looking to enhance your view and express your personality? Combine patterns and shapes to create an eye-catching focal point. 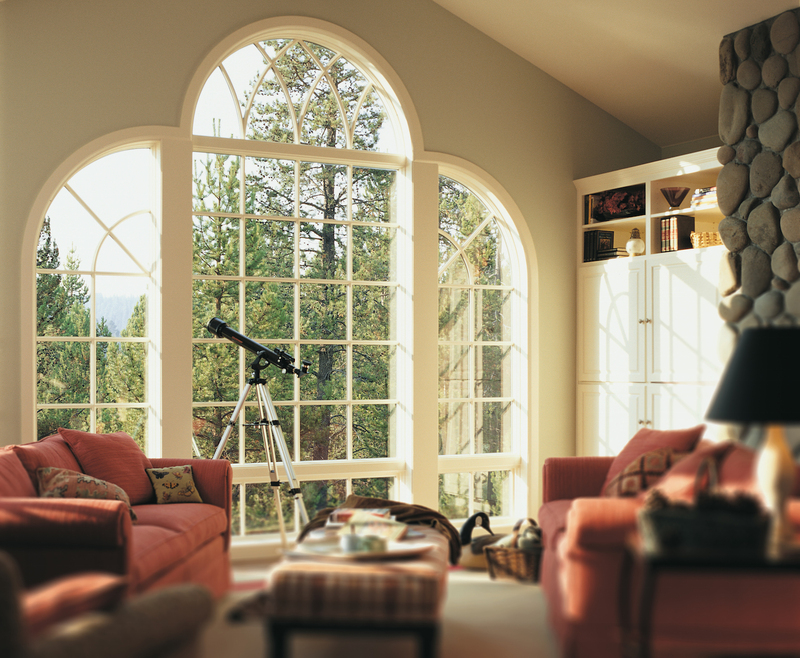 Radius windows and SDL add character and class to this viewing window. 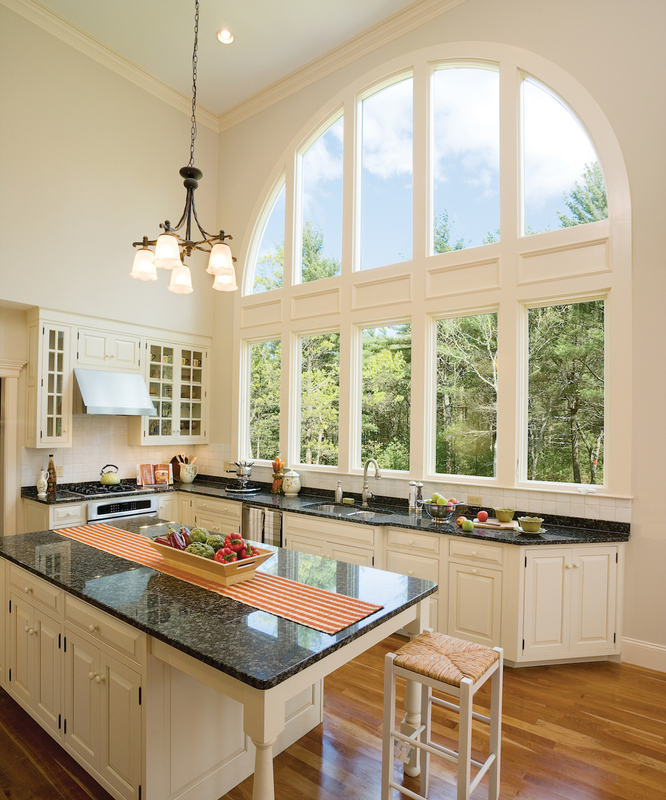 Add luxury and privacy to your home with a rounded custom window. Artistic caming and textured glass bring the design full circle. 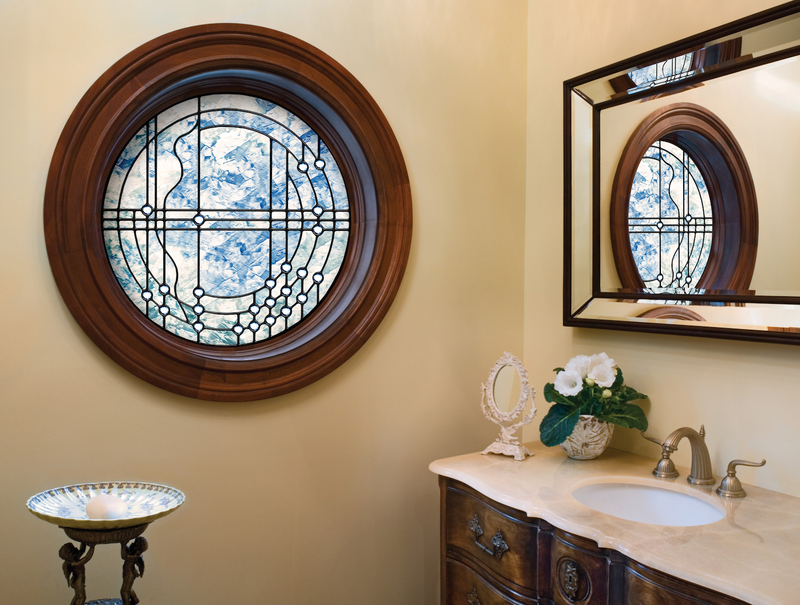 A custom radius window with a decorative glass insert makes for an exquisite upgrade. 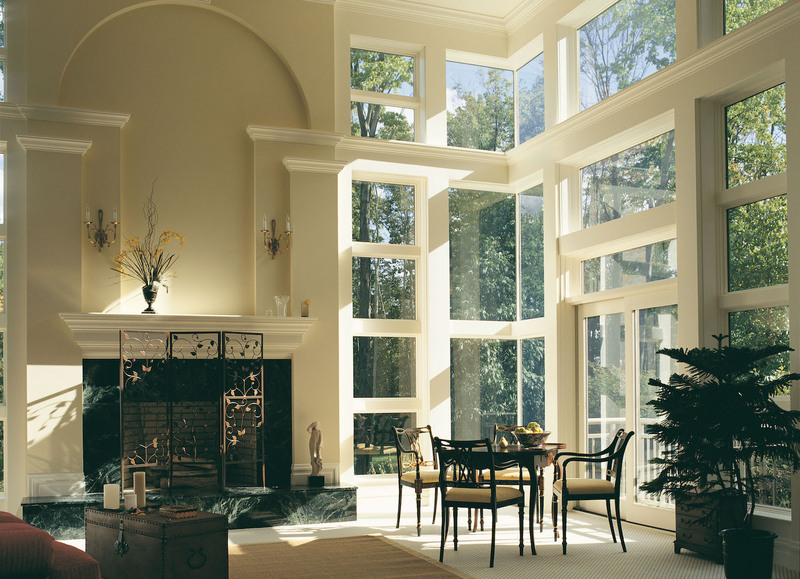 Talk about not cutting corners—these fixed windows turn with the wall for breathtaking design and loads of natural light. A wall of fixed windows on adjacent walls creates a stunning effect.